After proving the ION could handle abuse by aggressive skiers on big skis, G3 has now introduced a version with release values more appropriate for average folk. The ION 10 is essentially the same award-winning platform as the original version, but tuned for touring instead of freeriding. The ION is notable for eliminating common frustrations with tech-bindings such as toe-wing icing, step-in difficulty, and heel-rotation constraints. Like the original (now well-travelled) ION 12, the ION 10 helps eliminate those frustrations and lets you focus on enjoying the mountains. Thank you Canada. Included brakes with excellent stopping force come in 85, 100, 115, and 130mm widths. Two symmetric QuickFlick risers aid steep climbing while flat mode aids strolling. Forward pressure spring in the heel makes the release more consistent during ski flex. Snow-clearing channels under the raised toe wings help prevent dangerous icing. Step-in “fiddle” is virtually eliminated with BootStop guides that trigger the springs. Adjustable heels can handle three whole boot sizes to help with boot quivers. A more neutral stance is achieved versus other bindings due to less pin-height delta. 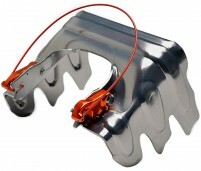 Integrated supports accept G3 crampons which are essential in certain conditions. Made in Canada, North America. How does the G3 Ion stack up in terms of release safety compared to a Fritschi Vipec? Hey Travis! Safety is kind of an elusive term to quantify, but there are definitely some differences between the two and I think your binding choice should come down to where you'll be using it. The biggest difference between the two bindings is that, functionally speaking, the Vipec releases like an alpine binding (laterally, it'll release out of the toe and vertically out of the heel) whereas the ION will release laterally and vertically out of the heel. This is a pretty generous blanket statement that doesn't apply to everybody, but I think if you are in the resort a lot, doing a decent amount of sidecounty, or seriously pushing the limits and opening up the throttle in the backcountry, then a binding like the Vipec (or better yet, the Tecton) is likely the better choice just because of the release style, but if it's mostly destined to be a backcountry specific binding, then a tech binding seems to be better for safety in that regard because of the relatively lower speed and more technical approach to skiing in the backcountry. If there's any mountaineering involved, the ION is probably my first choice without a doubt. 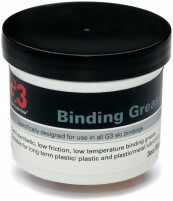 Has G3 Ion 10 binding received a TUV certificate? Hi Yuki, no the IONs are not certified to DIN standards. Are these 2018? Do the rear blocks click down when pushed down in tour mode? Yep, these are the 2018 edition and the heels do lock down in tour mode when pressed down.